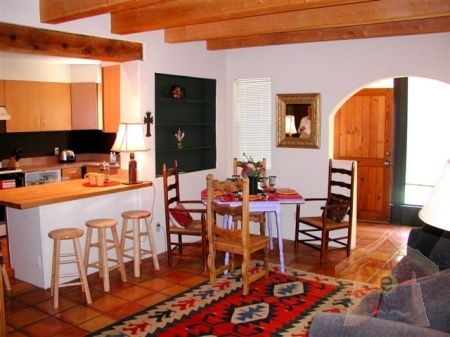 Five minutes walk from the Taos Plaza and along Kit Carson Road finds you in a most tasteful Taoseno 2 BR Holiday Travel Townhouse. 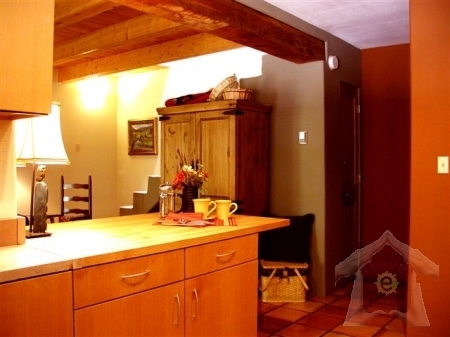 Quiet, yet centrally located is a charming light artist's Ski Holiday Travel Home with private latilla fenced yard and ample private parking. 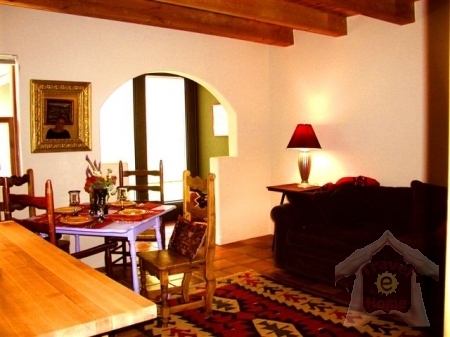 This fully furnished comfortable Ski Vacation Home Rental offers 2 bedrooms one with its own balcony, 1.5 bathrooms. 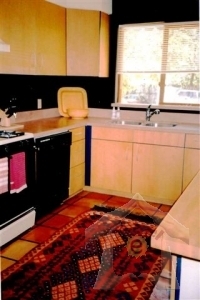 Saltillo tile throughout the living and kitchen area is complemented by the intimate beamed ceiling and a wonderful kitchen with sandstone countertops, a large butcher block dining counter seating 4 and a separate dining table also seating 4. 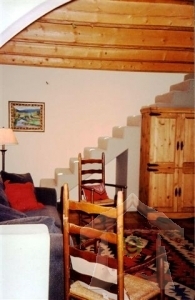 Wi-Fi access. 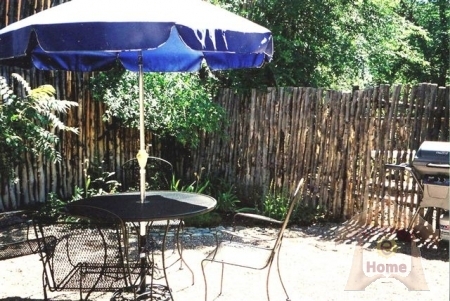 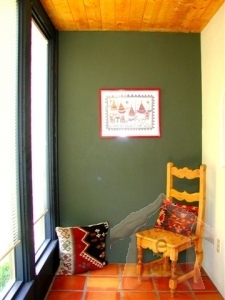 Make this charming Taos 2 BR Ski Vacation Travel Rental Townhouse you vacation home away from home.